— Naomi Klein, author of No is Not Enough and This Changes Everything. "This is print. This is real. This is here to stay. This is the kind of stuff when I was a kid I would hope would be in a big city — rebellious stuff, really thinking about stuff. You have to get points of view that aren’t just being dictated to you from corporate owned news sites. Otherwise, what are you getting really? So, you have to read it." 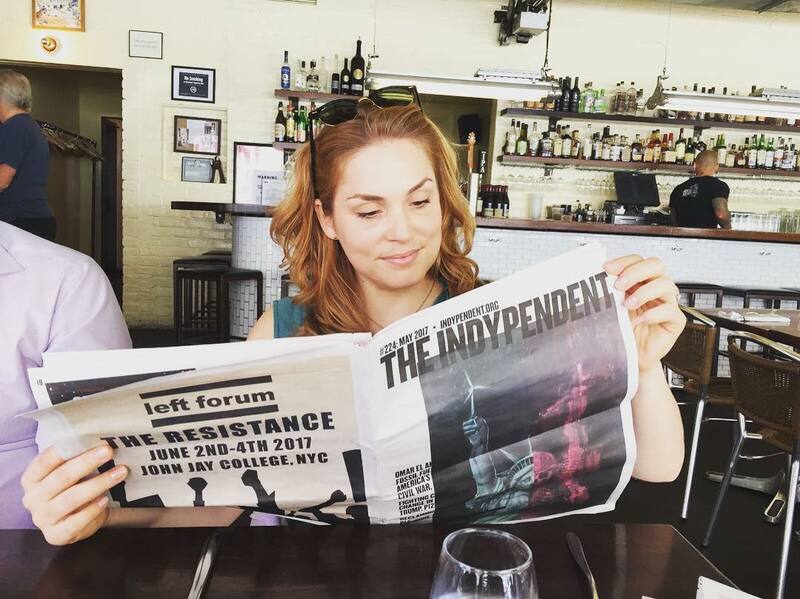 The Indypendent is a free, left-wing newspaper produced and distributed in New York City, and available to subscribers everywhere. Thank you to all of our supporters. Please, ask your friends and family to give what they can as well! When you give to The Indypendent, you are supporting original, on-the-ground coverage of social movements on the block and around the world. Not to mention critical analysis for a broad audience on issues of race, gender, class and the environment. Visit indypendent.org to explore our recent reporting on #MeToo, the climate crisis and gentrification. People say "print is dying" but by distributing The Indy in print form we are able to reach tens of thousands of people each month who would not otherwise stumble upon left-wing news and information by surfing the web. For going on 18 years we've been cracking through the echo chamber and providing workaday people with an alternative to right and neoliberal outlets. We refuse to accept corporate advertising. The Indy relies on a small staff, an army of volunteers and reader support to keep it going. We invite you to join The Indy community. We'll send you an Indypendent bumper sticker so you can show your neighbors that you support muckraking print journalism. Receive the latest issue of The Indypendent delivered straight to your door each month and support the kind of journalism that pisses off Trump. Smash the Patriarchy! 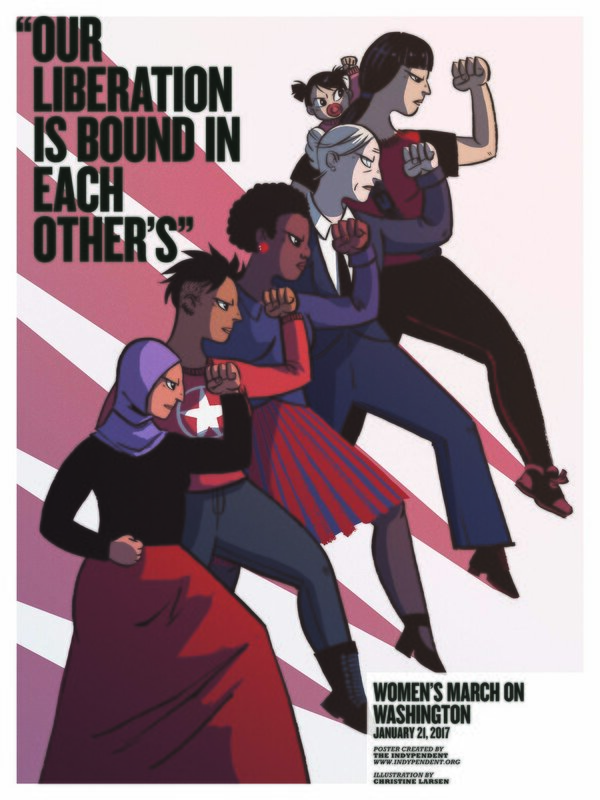 Recieve the latest issue of The Indypendent delivered straight to your door each month, plus a free commemorative Women's March poster from Indy illustrator Christine Larsen. 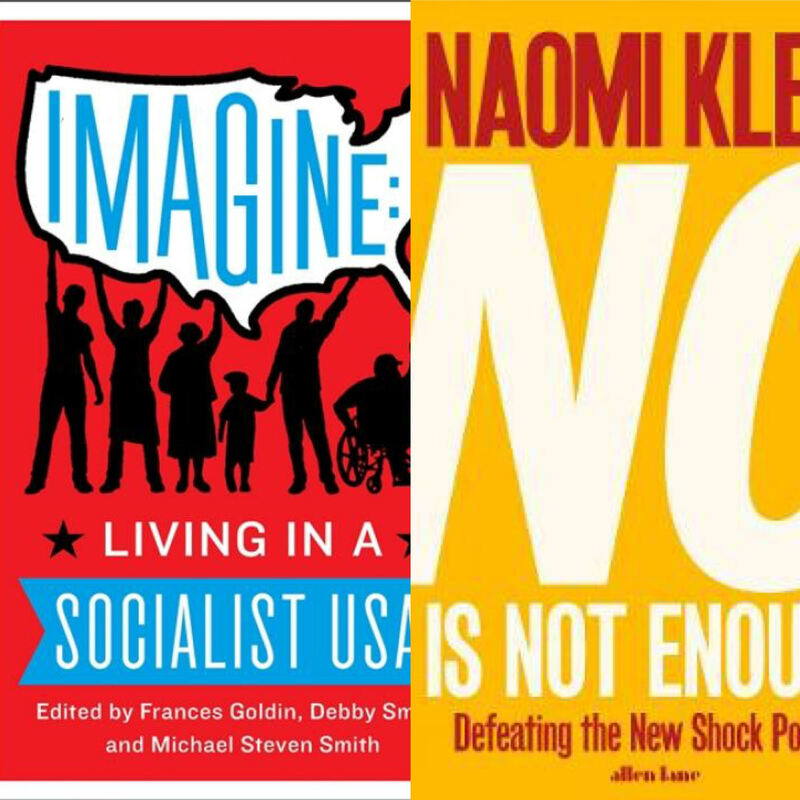 For your generous commitment to The Indy, take your pick from two of our favorite books: Naomi Klein's latest, No is Not Enough: Resisting Trump's Shock Politics and Winning the World We Need, or the contemporary classic Imagine: Living in a Socialist USA. We'll also send you a love bag of our Indy schwag, plus the latest Indypendent every month.